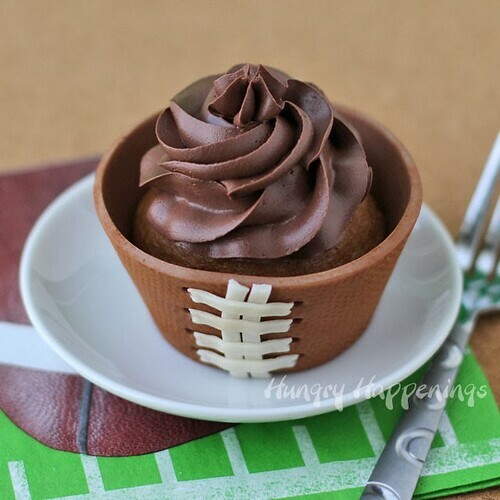 I love ho cute these football cupcake wrappers by Hungry Happenings are and that they're made of milk chocolate and entirely edible! Visit their blog to find out how to make your own for the Super Bowl (or any time). A pizza wheel is involved!